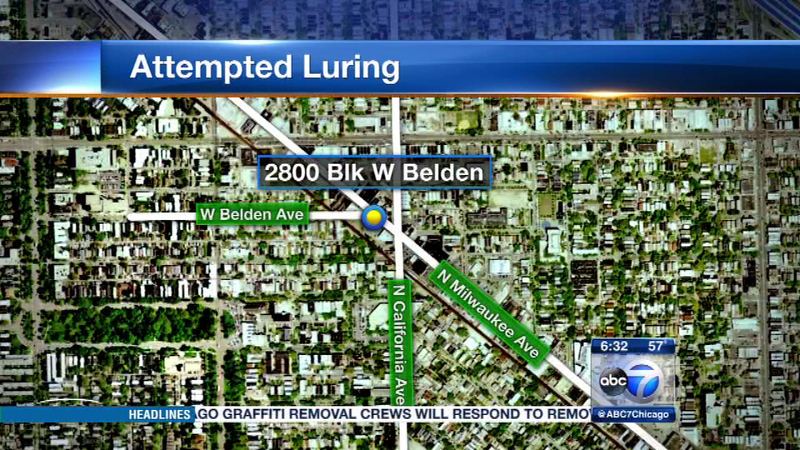 CHICAGO (WLS) -- Two men tried to a lure a young boy in Logan Square with a story about a medical emergency on Wednesday, Chicago police say. The incident occurred on in the 2800-block of West Belden Avenue. Police say two men in a pickup pulled up to a boy. One of the men told the boy his mother was having a heart attack and that the boy should get in the back of the pickup. The boy told the men he was calling police and they drove off.